AURORA | Fuel up while you can, Aurora. While gas prices across the city have managed to mirror the mercury this season, dropping to unexpected lows since temperatures began to plummet last fall, analysts are predicting a seasonal surge this spring. Oil and Gas experts predict that the low gas prices that grace Aurora will rise in the spring. 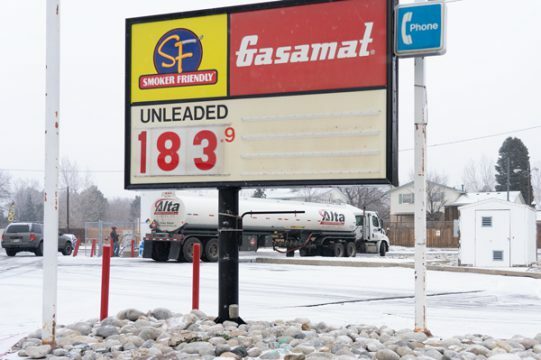 Gas prices usually swell about 25 cents per gallon from mid-February through the end of April, and 2019 is not expected to present a notable exception to that trend, according to Patrick DeHaan, head of petroleum analysis at GasBuddy. “Like we do every year, we’re likely in the weeks ahead to see a pretty noticeable rebound in the price of gasoline,” DeHaan said. In the past decade, the only time experts did not report people paying about a quarter more for a gallon of gas in late winter and early spring was in 2013, DeHaan said. He said the enforcement of seasonal regulations on gasoline varieties is what typically powers the uptick in fuel prices early in the year. The Environmental Protection Agency requires refineries to provide cleaner and more expensive gas from May 1 through Sept. 15, in an effort to mitigate more cars on the road during the warmer summer months when more families vacation, DeHaan said. Refineries typically begin piping the cleaner gas to retailers in February to make the May deadline, which causes prices to rise around this time of year, according to DeHaan. “You essentially go from a clearance sale on winter gasoline to more expensive merchandise,” he said. Gas prices in the Aurora metro region have been on more of a markdown than usual this year due to a confluence of geopolitical factors, including plummeting oil prices, doubts in the U.S. economy, waffling over a potential trade deal with China and uncertainty on future oil production in Venezuela, DeHaan said. This week, the national average is about $2.26 for a gallon of regular fuel, according to data compiled by AAA. That’s about 33 cents cheaper than it was during the same time last year, which translates to about $127 million in savings each day, according to DeHaan. “That’s a little bit of a windfall for the economy,” he said. “Americans are not running around buying big screens, but they may be eating out a bit more often, taking more trips to the mall, etc. Tim Gonerka, retail specialist for the city, said retail sales in Aurora were robust throughout 2018. The current statewide average cost for a gallon of gas is about $2.02, and about a dime cheaper across Arapahoe County, according to AAA. Current averages are about $1.85 per gallon in neighboring Adams County — the second-cheapest jurisdiction in the state. Oil prices dropped by more than $30 per barrel in the final two months of 2018, according to DeHaan. That drop combined with an above-average output — the U.S. is currently churning out about 2 million more barrels of oil per day than the same time in 2018 — spurred both OPEC and Canada to cut production at the end of last year. Looking forward, DeHaan said he’s predicting the national average price for a gallon of gas to be about 3 cents lower in 2019 than in 2018. 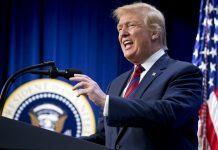 “2019 should go down as a year when we overall spend a little bit less than we did in 2018, but you probably won’t feel it,” he said. In Colorado, prices could occasionally surge above $3 per gallon, though not for particularly long stretches of time, DeHaan said.